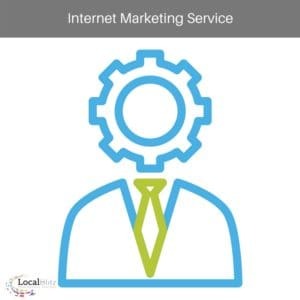 Need a LOCAL partner for you internet marketing service needs? You have come to the right spot! WE at Local Blitz have worked with countless different business niches in San Diego County and also in 15 different states. We have built a business by taking care of our loyal clients and even more importantly getting them results! We pride ourselves on keeping up to date with technology and implementing for our clients to keep them ahead of the curve, as much as humanly possible. The tech world moves FAST, as we all know, so each team member dedicates hours each week working on their own discipline to keep up with changes happening across the Internet Marketing World. Search Advertising is a great way to gain new business leads and promote products! Whether it is Google Search, Bing or some other search engine, we have done just about all of it for our clients and continue to run successful campaigns to this day. We work with the strongest industry partners for web design services. We don’t take referring clients lightly, so based on their needs we will help to get them in the right hands and also if needed stay in touch during the web design process to help troubleshoot SEO issues and conversion tactics. E-mail marketing is arguably the highest ROI in the internet marketing world. We push clients to not only focus on leads and conversions but also to build digital assets, like email lists. Bear in mind, every business is a bit different, but as far as SMB’s are concerning a solid E-mail marketing strategy is normally the low hanging fruit that they are looking for. How many changes have you seen on Facebook in the last year? More than you can count right? Well those changes only make up a fraction when compared to the changes on the advertising side of things. We literally spend hours each month just keeping up with social advertising on Facebook, Instagram, Twitter, Snapchat, and LinkedIN. We are in the trenches with our clients getting them HUGE results in social advertising as part of our internet marketing service. Don't waste money here – hire someone who knows what they are doing! We help many brands to curate content and create original content for social media marketing efforts. This can be a cumbersome task on a business owner, so we work Social Media Marketing Campaigns in tandem with Social MEdia Advertising Campaigns, focused on the client goals. There are so many different considerations, that is is important to have a roadmap from day one. “Winging it”, with social media marketing and advertising just doesn’t work anymore!